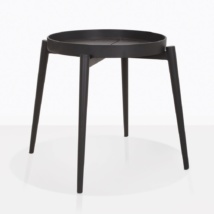 Add variety, style and functionality to your outdoor relaxing area with the Ida Coffee Table in black powder coated aluminum. 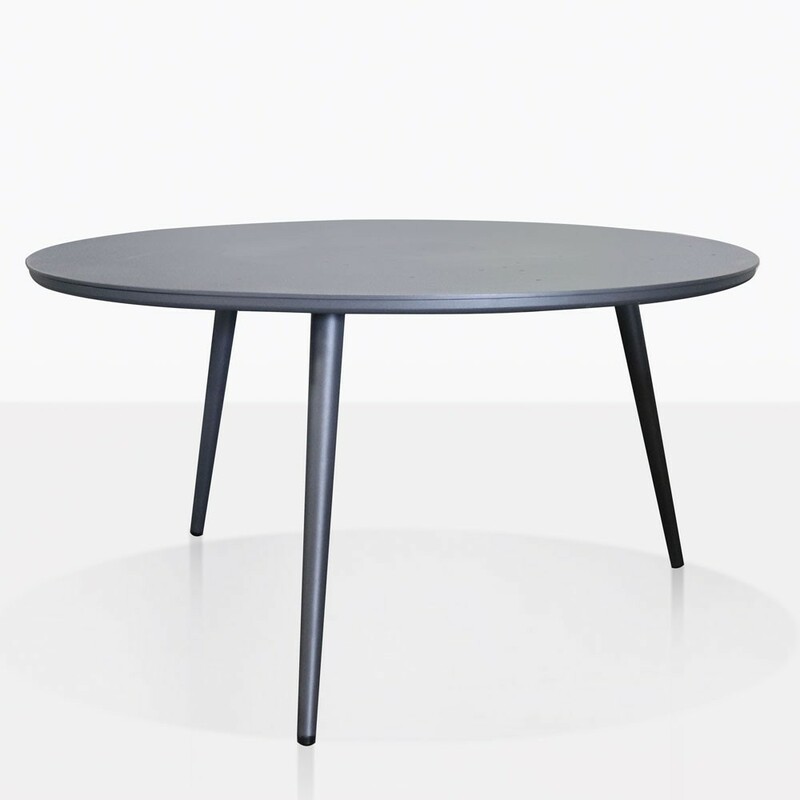 The Ida Table has a sleek design with a slim round tabletop that sits on three angled legs. It features small holes on the tabletop, these add interesting texture as well as allowing water to pass during the rainy season. 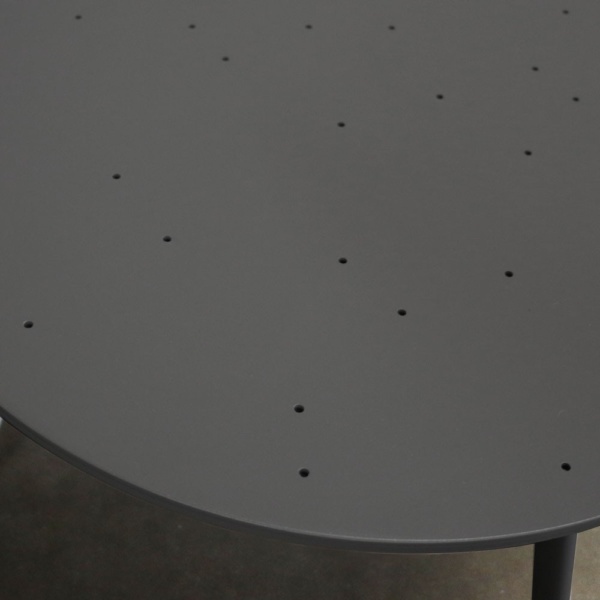 The Ida Table has a design that is versatile and can be used in many settings. 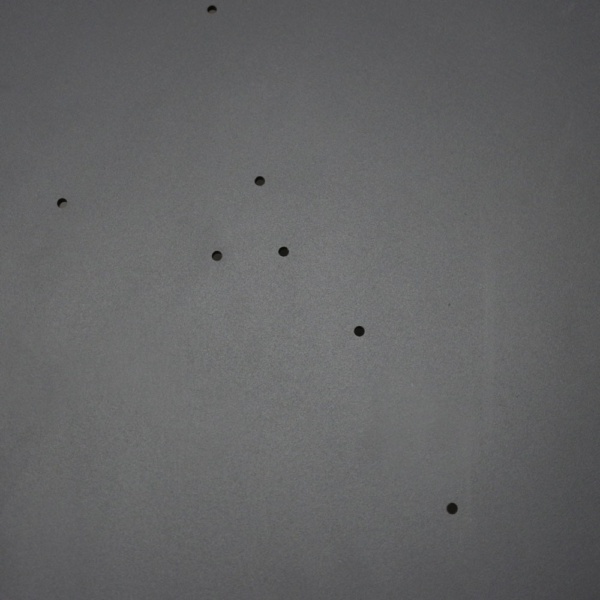 Pair it with concrete furniture or a-grade teak furniture. Call or email us today if you have any questions about how the Ida Coffee Table could work for you. 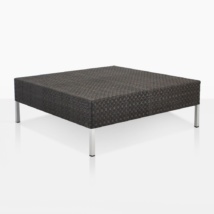 L35.5" x W35.5" x H18.9"
The Ida Outdoor Coffee Table has a modern look and feel. It’s sleek design is simple yet smart and sophisticated. It has enough weight to feel strong and durable, yet it is easy to move around your space. 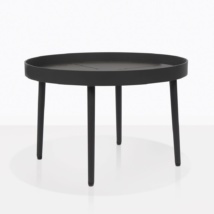 Get creative and pair it with several Ida Coffee Tables for more surface area and a fun geometric look.